Why waste time doing the same things over again? If you’ve done something more than once, you’ve done it enough. That's our philosophy at BlueCamroo. That’s why we have made it easy for you to automate many of the things that you can do with BlueCamroo. Create a completely defined project, from kick off through to client sign off and billing at the click of a button. With BlueCamroo Project Templates, you can pre-define your products, team members, stages, tasks, invoices and more so that when you create a new project, all of the work can be done for you. If a new lead comes in through your website, do you want to log in to a system, see what’s there and then send an email? No! Why go through that hassle when you can setup workflow rules to automate many of your day to day processes. 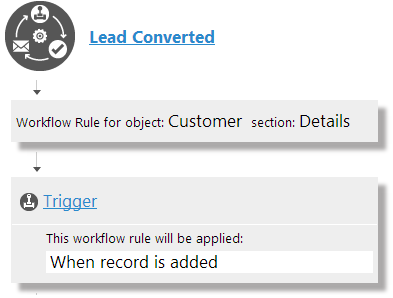 With BlueCamroo workflow rules, you can automatically send emails to team members, leads, accounts, contacts and more. You can automatically create tasks for team members when something changes. You can do just about anything automatically! Try BlueCamroo to see how workflow rules can change your life! An API is a simple way for a third party application to get data in and out of BlueCamroo. It's a collection of commands or "API calls" a third party application can issue to BlueCamroo to get data in and out. An API also defines how the data will look coming out of BlueCamroo and how you need to format data to get it into BlueCamroo. With a set of simple API "blocks" you can build marvelously complicated applications that move data between BlueCamroo and any other program that has its own API.